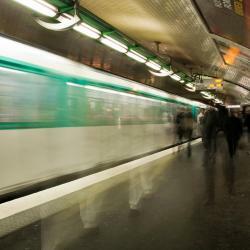 Looking for hotels near La Grande Arche? First opened in May 2017, CitizenM Paris La Défense offers luxurious accommodations with large living rooms, meeting spaces and a 24-hour fully stocked bar. Set 328 feet from Leonard de Vinci University and 1640 feet from U Arena Entertainment Center in Courbevoie, this apartment features free WiFi. La Défense Studio offers accommodations in Puteaux, a 5-minute walk away from Les 4 Temps Shopping Center and La Défense Business District. Private parking is available on site for a fee. Located just 2461 feet from the Grande Arche and Esplanade de La Défense, Studio Paris La Défense offers self-catering accommodations with free WiFi. Free private parking is available on site. Just a few steps from Leonard de Vinci University and a 4-minute walk from Technip France and featuring free WiFi, Courbevoie La Defense offers accommodations in Courbevoie. Featuring accommodations with a terrace, Appartement Le Vinci La Défense is located in Courbevoie. This apartment has accommodations with free WiFi. Located in Puteaux, just a 10-minute walk from the La Défense business district and U Arena, The Student Hotel Paris La Défense offers an outdoor swimming pool, fitness center and a 24-hour reception.... Neat and clean rooms...value for money. Good location. Set at the center of La Défense business district, Melia Paris La Defense is a designer hotel offering panoramic city views from the bar lounge on the 19th floor. It also has an Eiffel Tower view. Perfect for our needs while in Paris. A very classy hotel. 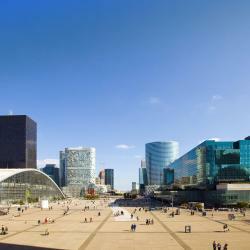 Located in Nanterre, Arena Hotel La Defense is 0.6 mi from Grande Arche de la Défense and Les 4 Temps Shopping Center. Free WiFi is offered throughout the hotel. Rooms are awesome! Clean, comfortable. All is great. People (the staff) are friendly and welcoming. Located 0.7 mi from Cnit Paris La Défense and Grande Arche de la Défense, Hotel Courseine (ex George Sand) is also a 10-minute ride from Saint Lazare Train Station by public transport, 11 mi from... The breakfast was very nice. The staff was friendly and helpfull. Hotel La Regence is located 5 mi west of central Paris in Courbevoie, a 7-minute walk from La Defense business and shopping district. It offers free WiFi internet access. Comfy bed. Clean and modern bathroom. Sofitel Paris La Défense is a 5* hotel set in an ideal location, only 820 feet from the shopping center "Les Quatre Temps" and a few minutes by public transport from the Champs Elysées Avenue. Staff was fiendly, Food was good in the Hotel. Hotel Vivaldi is located in La Défense, Paris’s business district, a 14-minute walk from the Esplanade de la Défense Metro Station and a 10-minute drive from U Arena. Great hotel, great staff, highly recommended! Located in La Défense business district, this hotel is a 10-minute metro ride from the Arc de Triomphe, Champs Elysées Avenue and Porte Maillot Exhibition Center. Very friendly and helpful staff. Will stay at the Ibis La Defense again! The Hôtel l'Amandier offers air-conditioned rooms close to the business center of La Defense. It offers free WiFi access. U Arena can be found 1.2 mi away. Paid private parking is possible on site. The breakfast was good. Front desk personnel were friendly and helpful. 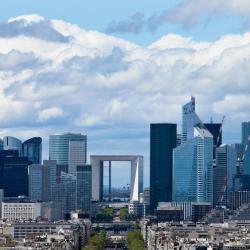 Hotels with great access to La Grande Arche! Located in La Garenne-Colombes, L’Olympique provides guest rooms equipped with free Wi-Fi and a 24-hour reception. You can relax on the furnished terrace and dine at the on-site restaurant. Excellent, friendly staff Best hotel value round there, period. Located in Neuilly-sur-Seine, Hotel Charlemagne is just 328 feet from Pont de Neuilly Metro Station which offers direct access to the Louver Museum in Paris. Bed comfortable , lovely pillows .. great shower .. nice little touches soap shampoo etc . Mercure Paris La Défense is located in the business district of La Defense and just 10 minutes by metro to central Paris. The U Arena is also a 10-minute drive from the hotel. 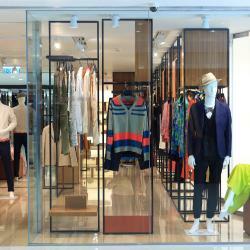 It was clean and very close to both the business center (Total) and shopping area.